Lenovo is Chinese company which is one of the leading IT software and hardware manufacturers in the World. The company came into existence after its acquisition over IBM personal computing division. They have scored huge success graphs which has helped IT sector to create innovative gadget articles for the World. They also have wide variety of electronic gadgets which include laptop, Ultra book, Smartphone, Think station etc. 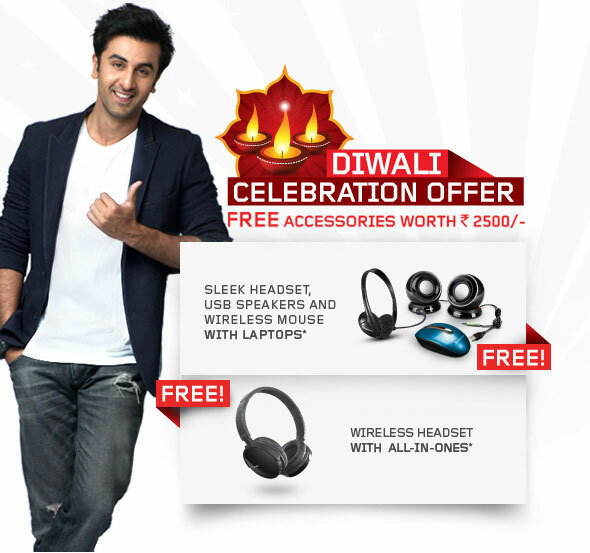 Lenovo is celebrating Diwali offer by providing free accessories with their products. The free accessories are worth Rs 2,500 which includes wireless mouse, sleek headset and USB speakers. These accessories are provided free with laptops. Lenovo all in ones are provided with free wireless headset. These are Diwali offers which are for limited period.